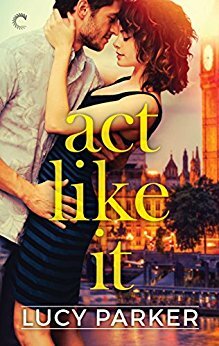 This week's Book Giveaway is Lucy Parker's debut romance novel Act Like It, published in 2016. It's been a while since I've discovered such a promising new-to-me author, so I'm both excited (yay, she has two more books out!) and chagrined that I just started a month-long shopping ban (delayed gratification is for suckers!). A full review will follow shortly.